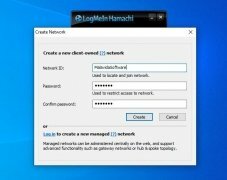 How to create a virtual network between several computers to keep them connected? 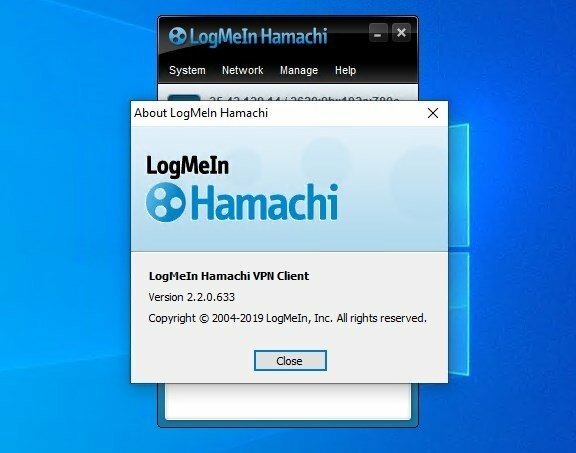 It's really easy if you've got Hamachi because this software is precisely an app capable of configuring virtual private networks (VPNs), being able to establish direct links between computers under a NAT firewall without requiring any user configuration on behalf of the user. 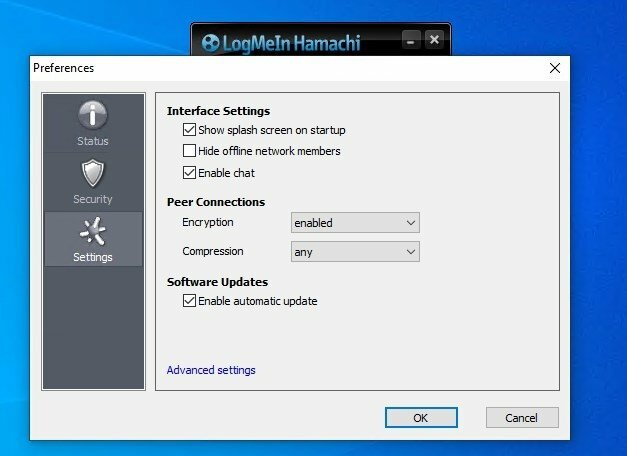 LogMeIn Hamachi is a very easy-to-install and configure software application. Never before had it been so easy to create a local private network. 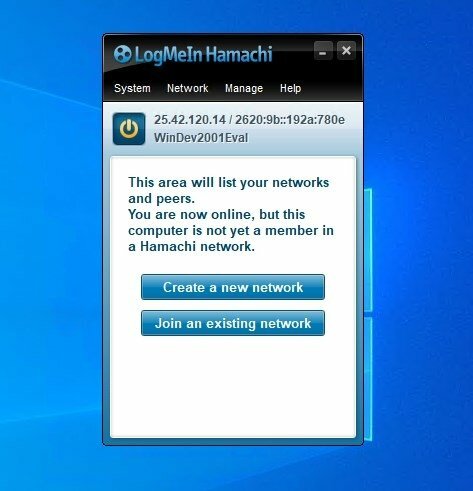 Hamachi uses the Internet connection to establish 256-bit SSL encryption. Thanks to this you won't have to worry about the security of your communications. This software can be used and applied to many different aspects, being able to use it in professional environments and companies to connect several different PCs or for entertainment purposes, gathering on the same network the computers of all the video gamers or even to share files. A free hosted VPN service. Create and manage virtual networks of computers locally. Gather the networks with a simple click by means of the Internet. 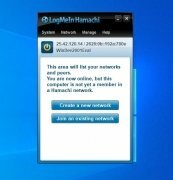 Network access and use control thanks to passwords, an authentication system or network blocking. Includes support for mesh networks to connect all the network clients with one another. 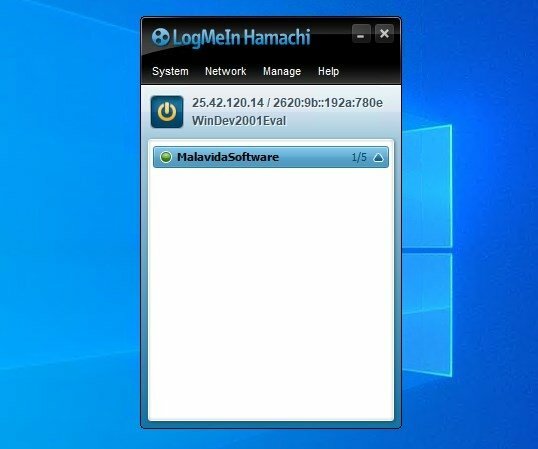 Valid for company computers, domestic computers or video games with multiplayer LAN mode. The program is very easy to use because it has a simplified interface from which you can create a new network or integrate the computer into one that already exists. 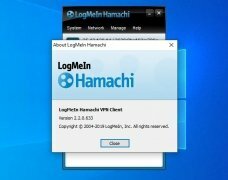 For this purpose, you simply have to make sure that the PC has the Hamachi client application and that the access data is correct. 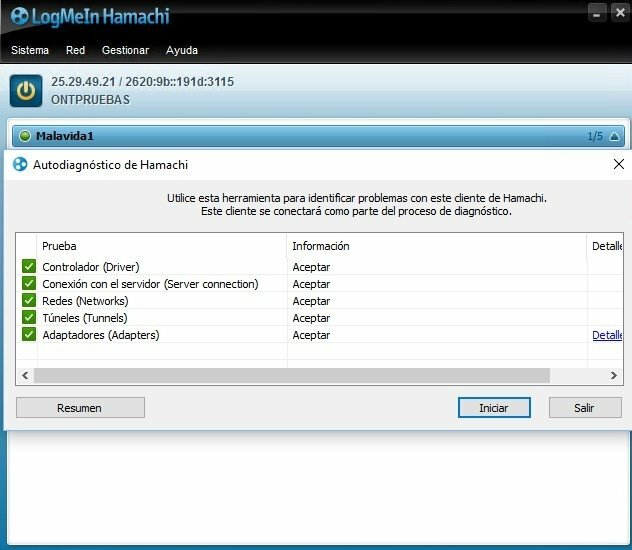 If you have a problem with the configuration you can always have a look at the official Hamachi manual. 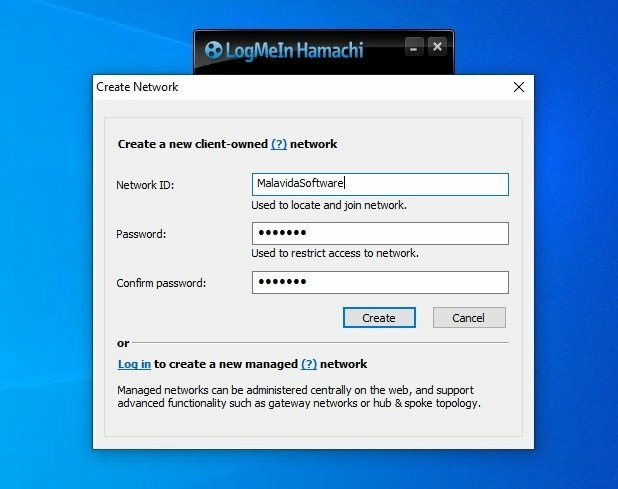 Its functioning is based on the server that manages LogMeIn and that connects to the software installed on the users' computers. The latter manages the connections between the different computers creating a safe tunnel that connects computers securely. 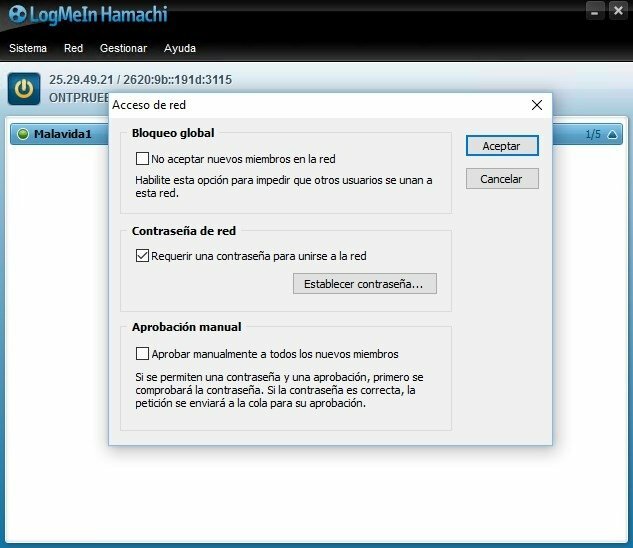 Create virtual private networks on demand. By downloading the app for free you can create your own private network and make the most of it. You won't have to worry about routers or firewalls because it creates a new connection which is visible from the Windows control panel. 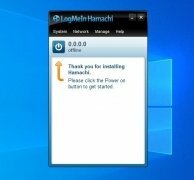 If you need to create a private network between computers and you aren't a technical expert of this procedure, you can always resort to Hamachi, the easiest and most simple way to interconnect several computers on a single network. 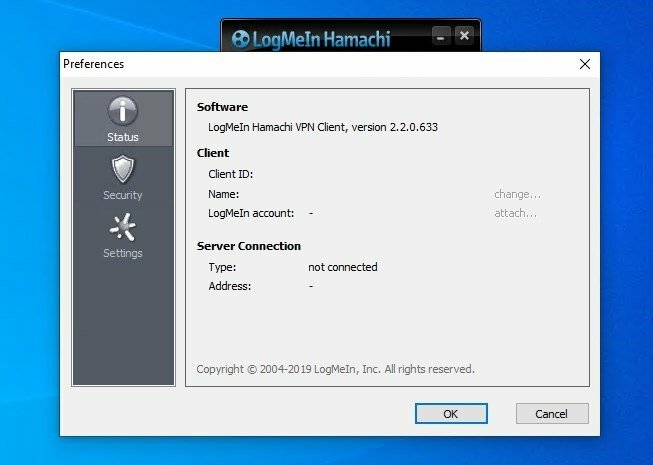 It's an application that can also be used to connect different systems because LogMeIn has developed versions not only for Microsoft's operating system but also for PCs with Linux and also Apple's macOS. Which one's better? 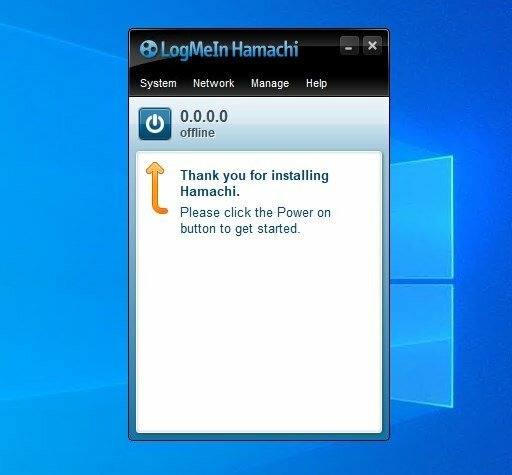 Hamachi, Tunngle, Garena or GameRanger? It depends on how you're going to use it. In the case of the software developed by LogMeIn, we're talking about a program that's intended for professional uses, although it also offers functions to use it as a tool for multiplayer games. The other services mentioned are mainly aimed at online gaming, with built-in chat and communications systems precisely conceived to make the gaming experience much more interesting. The application is free for non-commercial use and up to a maximum of 16 computers.